Principal Ray Southland said 10 percent of the student body at Washington Middle School called out sick this week. More than 100 students have called out sick this week from Washington Middle School in Meriden. Meriden’s Washington Middle School is battling a bug. School officials say the number of students calling out is higher than it was at the height of flu season. Ninety were absent on Monday and 80 called out sick Tuesday. Christina Stimpson’s daughter stayed home last week. “She had a 24-hour bug,” Stimpson said. Joel Quintana’s son had similar symptoms and stayed home Monday. Quintana sent him back to class the next day, unaware that the number of absences at the school have been stacking up. Southland said the school nurse reports that it’s not just the flu but other illnesses that are keeping kids home this week. After speaking with the school nurse, one mother said she chose not to send her child to school today even though he wasn’t ill, in the hopes of stopping the sickness from spreading to her home. 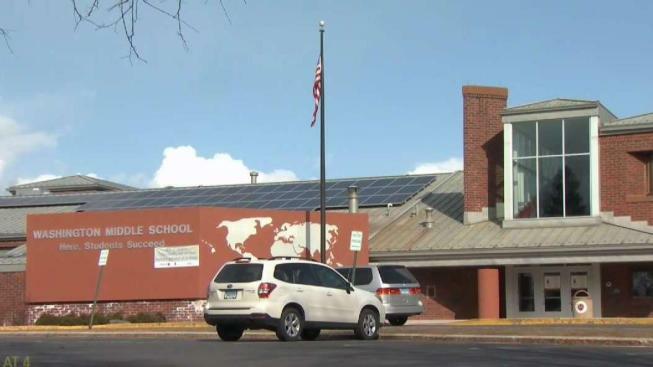 Several parents told NBC Connecticut that if they had known about the issue, they too would have kept their kids home. “I’m worried about attendance but if my daughter gets sick she’s gonna have to miss school anyways,” Stimpson said. “I don’t need that stuff going through my house,” added another Washington Middle School parent, Helen Wietrcykowski. For Wietrcykowski, the choice to keep her sixth grade daughter home and healthy rather than in school learning, is an easy decision. “If he’s gonna get sick at school he’s better off staying at home,” added Quintana. Flu season is now past its peak, but activity remains elevated according to the state health department. “We’re heading toward the end of the season. It’s by no means gone,” said Dr. Joseph Garner, Chief of Medicine at the Hospital of Central Connecticut. The flu has claimed the lives of 44 people in Connecticut this season, which is why it’s still important to practice healthy habits. Dr. Garner said keeping kids with symptoms home is the key to keeping the bug from spreading in schools. “Keep the sick children home. Let the healthy children go to school,” he said. Garner said there’s always a bit of influenza in the air, even in the summertime. The Meriden Health Department encourages residents who haven’t gotten the flu shot, to do so.